When you get Christmas gifts for friends out of duty. "The Christmas present I've bought one of my dearest friends is a duty gift - one I feel I have to give." I am about to buy a Christmas present for one of my dearest friends. It probably won’t be the most inspired gift I’ve ever bought. In truth, it will be a duty gift – one I feel I have to give. Don’t get me wrong, I love this woman. She has all the qualities I look for in a friend: She is funny (and thinks I am), straight-forward (in a vocal, endearing kind of way), loves a wine. We’ve been friends for decades – the kind of friends who go away on weekends together and call each other if there’s a crisis. We were a girl squad long before Taylor Swift came along. 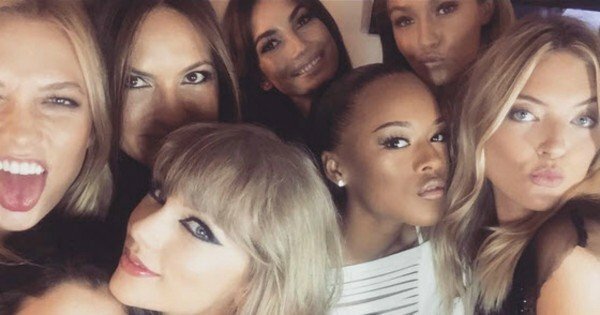 ‘We were a girl squad long before Taylor came along’. We don’t need to validate our friendship with a tube of hand cream. But she also has a house that is bulging with stuff. Clothes she’s never worn. Crystal glasses passed down from her mum, sideboards heaving with photos, jewellery spilling from boxes in her bedroom and bathroom and one of the best handbag collections in the country crowding not only her side of the wardrobe, but most of the built-in in the spare room. And I will be adding to this catalogue of ordered chaos and abundance because I feel I have to. The inescapable truth is she doesn’t need a thing. And neither do I. But she will shower me with gifts – plural. She’s that kind of person. She can’t come to dinner without bringing herbs from the garden and a small, beautiful gift and a bottle. Or two. And even if we have the conversation (‘Let’s just go share a good bottle of wine somewhere nice, let’s not do presents’), she won’t follow through. Instead, she’ll hand over a beautifully wrapped little pile of goodies on the night, and explain she couldn’t resist because they’d be perfect in the spare bathroom. And they would be. She’s the person for whom the phrase ‘generous to a fault’ could have been originally coined. In years gone by, I’ve loved buying for her. I’ve ferreted around boutiques and markets to find that perfect gift, and loved the look on her face that says I’ve cracked it. But this year something has switched. People queuing for ages just to step foot inside a shop. A friend telling me she doesn’t have a clue what to get her son because what he wants comes down to two options – a new computer worth northward of $2000 or a collection of R-rated games that he can play remotely with his friends. A colleague who thoughtshe had the perfect gift for the son of her new partner – a football – only to discover he’d bought it for himself, unable to wait the five short weeks until December 25. Am I the only one who feels like it’s all become a bit empty, a bit of a chore? Pondering this, I googled ‘do we spend too much at Christmas’. I got 51 MILLION hits – admittedly, I didn’t read them all, but the general consensus was a big, fat ‘Yes’. Expectation and guilt are both there by the bucket. Reciprocity is a biggie: Who doesn’t have a spare generic gift in the cupboard, just in case someone fronts with a pressie you didn’t expect? Then again, who wants to make anyone feel like they’re the person who didn’t make the Christmas list? 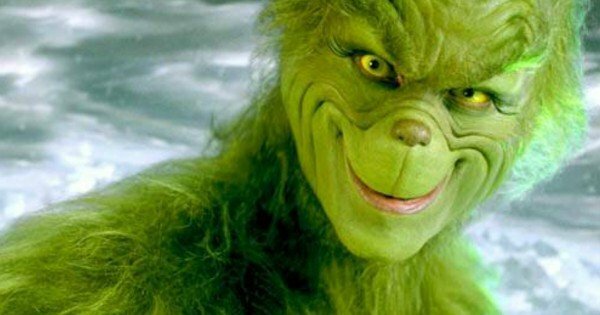 And does anyone really want to be seen as a tight arse, or worse, the Grinch? Of course, I could give a goat to a village in a developing country in her name. But it seems so impersonal – which, of course, it is, given she’ll never meet the animal, visit the village and thinks goats stink (also true). A chicken is out of the question: what happens if we eat chicken on Christmas day? Doesn’t that make the gift Christmas neutral? And I will still get something beautiful from her. So I will do my duty, and I will give her a present. But I won’t contribute much to that $35 billion outpouringof guilt and waste. Instead, I think I’ll dredge out a pic of us when we’re about 12. I’m smoking in an amateur kind of way. She has a flicked fringe and strangely ornate sunnies. The average Australian is spending close to $500 on presents this Christmas. But this is what I hope it will say. It’s not about what’s inside the wrapping. It’s not about ‘need’ or ‘want’ or ‘perfect in the spare bathroom’. And if I can get that across, duty done.